The beautiful Gold Sisal Gift Box is 60cm in diameter approximately, and around 30cm in height. It is a simply stunning accent that offers both a traditional holiday theme and a modern spin on decorating which gives it a unique versatility that can be enjoyed by many buyers this season. 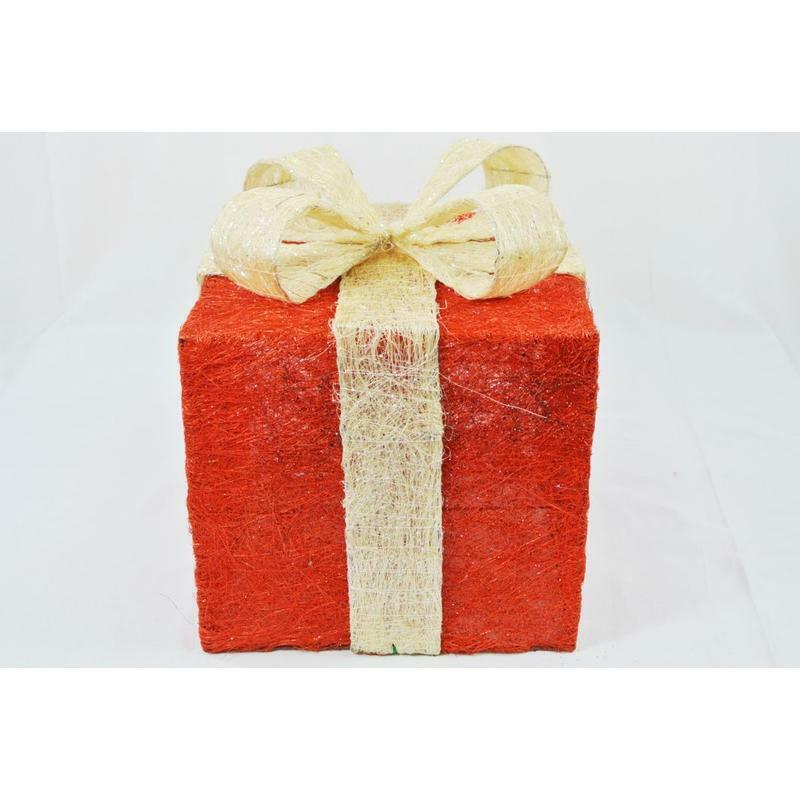 The semi-opaque facade of the red gift box is delightful, and the natural raffia-style bow gives it allure and interest. This would look great on the porch steps or in the foyer to welcome holiday guests to your home. This would also be a clever accent to place near your family’s holiday tree. Give this to someone for their office or work-space; it is a clever accent that will be used year after year in many different ways. Enjoy the ease and simplicity of the Gold Sisal Gift Box while also doing something a bit unique from your neighbours and friends this holiday season!